We are passionate about our exciting range of vintage products including flashy jukeboxes, addictive arcade machines, intoxicating pinball machines and classy coke dispensers. With the rise of popularity in vintage and retro products, these fantastic products are highly sought after due to their timeless designs and nostalgic qualities. From the golden and silver ages of their eras, these machines are extremely hard to attain and cherished by collectors and enthusiasts for their beauty and reliability. We only source the very best of these models in prime condition for their age. They are often carefully restored or upgraded by experts in the field to make them compatible for modern life or rejuvenating them to their former glory. 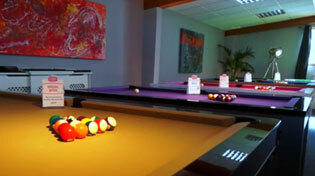 All of our vintage models are stunning additions to any game or leisure room, home or commercial. These machines will prove to be the center of attention among all age groups, eye-catching timeless design to any home setting or a touch of class to a club, bar or cafe. These products are truly breath-taking in the flesh, so why not visit our Bristol showroom to try them out and discover just how exciting they are. Most of our vintage products are on display in our showrooms, our staff are highly trained on all of our vintage and retro models and are here to advise you on the best product for you.